Apple is gearing up to launch the eagerly anticipated tenth-anniversary iPhone, the iPhone 8. The company will also introduce augmented reality software for its iOS mobile operating system later this year. It could transform how we use our phones -- and analysts at UBS believe Apple is ideally positioned to take advantage of it and "leapfrog" rivals like Google. And further ahead, it hints at a future where we move beyond smartphones entirely. Tim Cook is pumped about augmented reality. In a recent interview with Bloomberg, the Apple CEO said he is "so excited about it, I just want to yell out and scream." It's just the latest in a long line of highly positive comments from the Alabama-born exec about the potential of the nascent technology -- and according to UBS, he has got good reason to be excited. Analysts at the financial services company have put out a research note exploring the possibilities of augmented reality for Apple -- and argue that it could help the firm "leapfrog" rivals like Google and prove to totally transform how we use our smartphones. Augmented reality (AR), for the uninitiated, is the halfway-house between virtual reality and, well, real reality. It overlays virtual objects onto the real world, whether via a screen or a headset. You might use it to play a platforming game on your desk, or to envision how a new sofa might look in your living room. 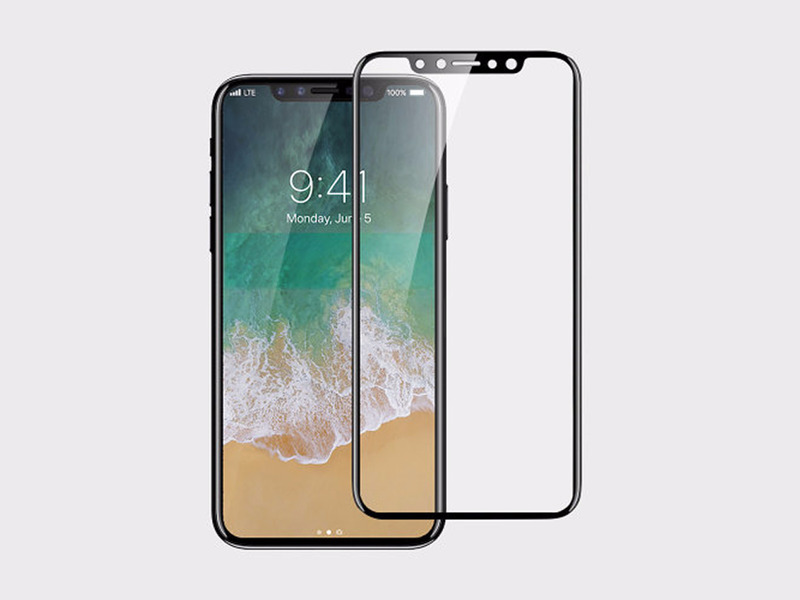 Later this year, Apple is expected to bring out the iPhone 8 -- the eagerly anticipated tenth-anniversary edition of its high-end smartphone. It's expected to have an almost edge-to-edge screen, a better camera, and no physical home button, among other developments. Apple almost never comments on rumours, reports, and speculation ahead of upcoming product launches, so don't expect it to confirm or deny any of this ahead of time. There have been rumours circulating for some time that it intends to integrate some form of AR into the device, and these got a shot in the arm earlier in June, when Apple announced ARKit. ARKit is software for its iOS 11 operating system due in the fall that will let developers build augmented reality apps for iOS. It will ship with the iPhone 8 -- as well as older iPhones, and Apple's iPad tablets. The iPhone 8 is also expected to come with a depth-sensing 3D selfie camera, that can be used for unlocking your phone as well as AR capabilities. It has the potential to be absolutely huge. UBS' analysts write that it "should be a fundamental change in how consumers engage with digital content" -- a change Apple is ideally positioned to take advantage of. Apple has, UBS writes, "core competencies in hardware design and software/hardware integration." It's used to developing hardware products in-house, as well as making software and hardware fit together seamlessly -- something essential for a product like augmented reality. Google, in contrast, is largely reliant on its OEM hardware partners to build Android phones however they see fit (with the exception of its Pixel flagship smartphones). On top of that, the majority of existing iPhone owners will be upgrading to iOS 11, and so able to make use of AR functionality, even if their devices don't have dedicated 3D sensors to really take advantage of it to its fullest. (In fact, UBS suggests that on older iPhones, "the interaction would have only basic features, maybe enough to tease many into upgrading to a new iPhone.") Google has augmented reality tech, Project Tango, but right now only a small handful of niche Android handsets have it integrated. The upshot of all of this? "Augmented reality (AR) is an area where Apple could leapfrog competition in providing a superior user experience. This could result in sustained iPhone retention rates and more switchers [people switching to the iPhone from other smartphones for the first time]." "We can picture the phone looking like a clear piece of glass when looking through the camera ... At a concert or sporting event, we could imagine numerous possibilities to connect with those around us and enhance our experience of the event. Games would become far more engaging. Angry Birds would be played on the desk in front of us rather than on a 5-inch screen. The phone could be put on the dashboard of a car, providing line of sight view of where we should be turning." In short: It would transform how people use their smartphones -- the sort of development that hasn't been seen in the space in years. your phone is no longer a block between you and the world. Instead, it enriches and augments the world. It will be used, the analysts write, "in applications as diverse as identifying the disease attacking your tomato plants to identifying the melanoma," as well as helping find emergency exits during crises and measuring the dimensions of rooms during home renovations. But further ahead, UBS suggests that Apple may have ambitions beyond the smartphone. "Beyond 2-3 years, we think an additional hardware device is possible. Reports have surfaced that Apple is working with Carl Zeiss, a German optics manufacturer, on AR glasses." Eventually, the Phone could disappear altogether, replaced by a head-mounted AR computer. 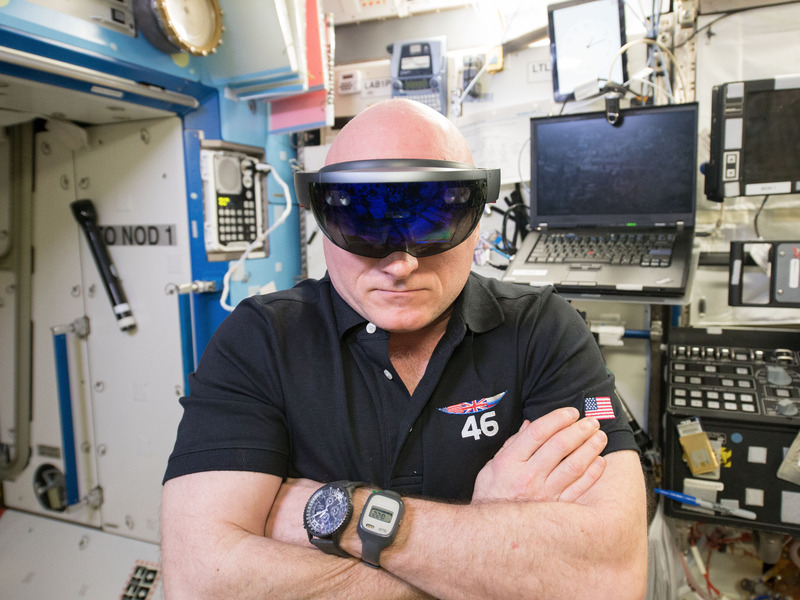 Microsoft is already building an AR headset, the HoloLens, and Facebook is also talking about the potential of the format. But Apple, via the iPhone 8, will likely be the first to really bring augmented reality into the mainstream. So the iPhone 8's augmented reality might not just be the next big thing for smartphones -- it may also be the beginning of the end for them.